When a tooth or teeth are not broken but need to be removed, it is called a routine extraction. These teeth are usually quite easily removed under local anesthetic, and sometimes sedation for the anxious patient. Routine extractions may be needed to prepare for orthodontic treatment, to create necessary space in the mouth for teeth to be moved. The other primary factor leading to routine extractions is tooth decay. In this instance, being spoiled rotten is a term we'd rather not use! The truth is that baby teeth are quite thin, allowing decay to move quickly to the root, causing extensive damage and pain. We urge parents to act fast if their child is reporting tooth pain, bringing them to Dr. Angie for an examination and consultation regarding the most suitable form of treatment. Addressing tooth decay early gives us the option of acting more conservatively, filling the cavity with tooth-colored composite material. Should a baby tooth require extraction, a space-maintainer may be needed to keep surrounding teeth from shifting position. For teeth that are not broken but need to be removed, this is a routine procedure usually done very quickly at Glisten Dental. Dr. Angie also often removes teeth for teenagers in orthodontic treatment when extractions are recommended by their orthodontist due to space constraints. When a young person is in his or her teens or early twenties, third molars, known as wisdom teeth, may begin to erupt. It is important to remove wisdom teeth so that their roots do not damage the jawbone, or their growth disturbs the proper positioning of existing teeth. Through a thorough evaluation of wisdom teeth, we can determine if Dr. Angie can perform wisdom tooth extraction in our office. We are also associated with an excellent team of oral surgeons in the instance a referral is needed. When oral health becomes compromised, it is human nature to put off receiving care, not out of negligence, but because we don't like the idea of someone poking around a painful area. When it comes to the teeth, however, putting off care may result in a broken tooth. When a broken tooth needs to be removed, it is called a surgical extraction. 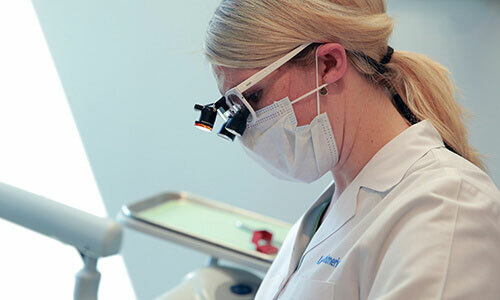 Whether the extraction is needed for a broken tooth, wisdom teeth, or teeth damaged by decay, Dr. Angie takes a gentle approach to bring the patient back to optimal oral health. If you require an extraction for which you feel nervous, discuss your options for sedation with us. Your comfort is important to us.